Sit back and relax, I’ve got a steaming cup of tea for y’all tonight. On October 31st, well…I’ll let you read the post. Needless to say, people were enraged. Pfft, I was enraged. Twitter comments can be read if you follow the link. Hello Abigail, I made a huge mistake and I am sorry, it was never intended to be malicious. I am now aware of the magnitude of the situation, thanks for pointing it out. I am really sorry I offended you and others. Tim, you’re only sorry because you got caught. Lol. Dr. Tim Miller, the new VP of Student Affairs sent a mass e-mail, confirming JMU has no ties to this man, and has no plans to create any in the future. JMU VP of Student Affairs Tim Miller sent out an email regarding an individual wearing blackface who was thought to be an adjunct professor at the university. However, the individual is not currently employed by the university and JMU has no plans to employ him in the future. Dr. Tim Miller responded fairly quickly, and made sure to reiterate that this behavior does not stand with JMU’s policies. Tim told Tim OFF. Beautiful. ShoutOut! to Dr. Tim Miller, you’re a real one. Thank you. …That being said; there are so many things wrong with this situation, questions that a LOT of folks have been asking. Why did Richardson think this was okay? Ew. Also, who’s the other person in this photo and why were they condoning blackface? Because that’s all this is. Blackface. Racism. Race is not a costume. Stop it. Rooted in minstrel shows, blackface was the peak of a racist history our textbooks forgot about. Sorry. Your favorite breakfast brand is racist. The history can be found here. And you have find more instances of black face here, here, here,here, and once again, here. These are recent; like MODERN DAY BLACKFACE. This is a much, much bigger problem. So no, the point here is not about JMU or Shenandoah Bikes. It’s about a culture that’s systemically perpetuating racist ideologies that we’ve grown into, spoon fed since birth. Racism as part of “one’s opinion”, “freedom of speech”, and hell, even “heritage not hate”. We’re fostering hate speech as an option. Richardson, you’re disgusting. Aretha Franklin passed this past August; stop telling me you’re sorry, you knew. You just didn’t care. As a black person, at a PWI, naturally you feel silenced. Unseen, a minority; naturally your voice is muffled. I’m black, and I’m so proud to be black. So when it’s 2018, we’ve gone through Civil Rights, and we’re STILL fighting; and I see blackface in my own backyard? I’m not going to be silent. It’s no longer enough to be pro-black. You have to be anti-racist. You have to be anti-racist, anti-homophobia, anti-oppression, etc. Lifting people up only works when you have a ground to stand on. THIS!! Thank you for this!! 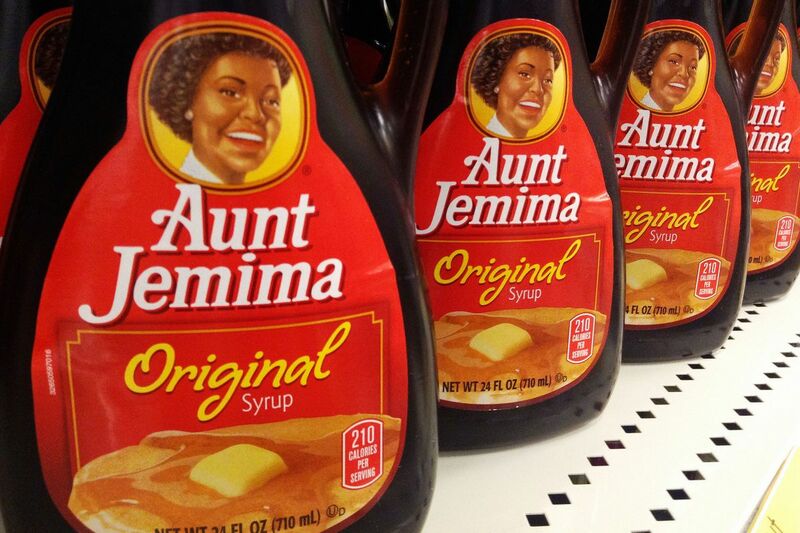 Wait, side note, AUNT JEMIMA?!? My white father told me – figures… a white middle-aged man telling me – regardless, I won’t be adding to that companies revenue anymore. Anyways, I agree, it is vital to be anti-racist and realize that race is not a costume. As shown in the photo in the tweet, Abigail said that it was wrong of her not to have confronted him upon his blackface. What are ways that one could go about calling people out if we see someone in blackface and educating them? BECAUSE AS YOU SAID ITS FREAKING 2018. For a country that loves talking about its history, history never changes, it just repeats itself. I will be more cognizant and educate myself enough so if I see someone in blackface or just being flat out racist, that I will know how to confront and educate and call that individual out. Thank you for this and I will be sure to watch the video you provided to educate myself further. Hey! Thank you for covering this topic. As a minority, on JMU’s campus, I was uncomfortable and disappointed by this event. Blackface has never been okay. In Meghan Kelly’s clip, she says that when she was younger blackface for a costume was okay. Well, I beg to differ. Blackface has always been used to poke fun at Black people and make them feel less than. It was never an action that had positive connotations to it. Many people try to say that they did not know blackface was wrong or offensive when they get caught with it on. With the history of blackface, it is very hard for me to believe. When I was informed of this incident I sent an email to President Alger and the Dean of Students, expressing my concerns. I informed them that the event made me feel uncomfortable and informed them of the ways and which this could negatively impact the school, in the future, if they continued to partner with them. The Dean of Students addressed my concerns and addressed the event to all students and faculty on campus. I am proud that JMU addressed the situation and recognized that it was wrong. Too often people do not address the situations and that is how blackface continues. It is my hope that through students and staffs activism, that an event like this will not occur in the future. YASSS PREACH! This entire situation pisses me off. How did you not know that this wasn’t okay? As an adult? This is a problem with society and constantly being socialized that this is okay. You are right it is time to be ANIT-RACIST and I am HERE FOR IT. Lets start a revolution! It is always understood and stressed around halloween especially to be aware of your costumes and keep in mind cultural appropriation. I always find it sad that these types of things even need to be said.I am even more so shocked that an adult should need to be told, however, us students are the changing generation and perhaps it is the adults that need to be taught the most. I enjoyed the statement that “it’s no longer enough to be pro-black, you have to be anti-racist, anti-racism isn’t implied”. I find this statement to be extremely powerful. I have noticed that people claim to be “pro-black” while still standing by and listening to racist comments or ideas. If those “pro-black” individuals are not speaking up, they too are the problem. You have to be both to make a difference. I had heard about this from one of my roommates but did not know the full story until reading this. I am honestly so surprised that anyone could dress up in blackface and claim they were unaware of the racist connotations that it holds. I am also very grateful that JMU spoke out against the situation quickly. I was shocked upon hearing about this incident and I’m glad you decided to write about it. It’s crazy that people seem to think this kind of behavior is acceptable! I am glad JMU made a statement…it shows how our community is taking a stand against issues like this. When I received the email from JMU about this issue a few weeks ago, I thought it was about a student. It wasn’t until earlier this week that I found out it was a professor previously employed by JMU. This information only makes it worse, because you would think that older adults would know how racist blackface is, especially a professor!